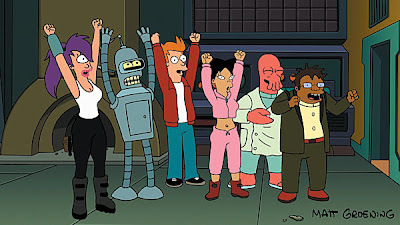 Newsifact: Futurama has been renewed! According to C21 media Fox has indeed renewed Futurama. The author of the article has confirmed that "The studio is making more episodes for DVD sales." UPDATE II: We got the scoop, now here is the official announcement from Comedy Central. Previous rumours were wrong, it is in fact a full 26 episode season that has been ordered. UPDATE: You read it here first, now further confirmation from Collider that 13 new episodes have been ordered by Comedy Central. More here . Occasionally we stray beyond made up satire!